Singapore is hosting a series of official meetings ahead of this year’s ASEAN Summit, which is scheduled for November of 2018. For Russia, which maintains close relations with this regional association, it’s a chance to address economy, common security and politics, as well as to discuss new formats of cooperation between its key players. From the moment you land in Singapore and get into a subway car at the airport, you'll hardly notice that you're in the heart of Southeast Asia: all announcements are in English, many stations have British names. But if you look beyond Singapore's image as one of the most technologically advanced and highly developed Asian countries, it would be hard not to notice its rich multicultural heritage. Besides English, which is used for everyday communication, locals also speak Mandarin Chinese, Malay, Tamil and other languages. — Denis Bolotsky (@BolotskySputnik) 2 августа 2018 г. The organizers of this year's ASEAN Foreign Ministers' meetings gave a warm welcome do delegations and journalists and were doing their best to let everyone experience local hospitality- from setting up augmented reality tours of the city to serving traditional Singapore noodles in the media center's restaurant. The culinary menu for top ASEAN diplomats and delegations from the bloc's partner countries may or may not have included this particular local specialty, but the "menu" of their official meetings surely was a detailed one. 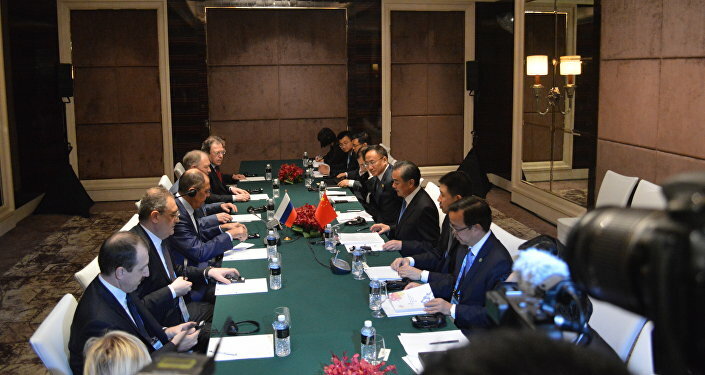 On Thursday Russian foreign minister Sergey Lavrov took part in the ASEAN-Russia plenary session and held bilateral negotiations with several foreign officials, including his Chinese counterpart Wang Yi. China is not a member of the Association of Southeast Asian Nations, but it plays a major role in the organization's "ASEAN Plus Three" format together with Japan and South Korea. Beijng has been ASEAN's top trading partner for the past 8 years, aiming at the joint target of US trillion in trade by 2020. China also has common interests with Russia when addressing the ASEAN partners, since Moscow and Beijing play major role in another big regional association — the Shanghai Cooperation Organization. Accoriding to Sergey Lavrov, a road map for SCO-ASEAN cooperation is currently in the works, and Moscow is hoping that both organizations will benefit from the plan. However, the SCO-ASEAN format is not the only platform for common projects. Moscow sees possible participation in the Eurasian Economic Union as another way for ASEAN, SCO and even EU members to enjoy closer relations. "Life tells us that this big Eurasian project — is more like a goal, a situation where we are trying to reach consensus, and move towards it, and we invite all countries on which represent that geopolitical environment to participate." "Let's not forget that the EU is also part of this geopolitical environment. We always stress that when we are talking about strengthening ties between Eurasian Economic Union, the SCO and ASEAN, we leave doors open for the EU, if the EU is interested. The EU probably should have such interest if it's driven by pragmatic economic interests — there is no doubt about that." Russia's ties with ASEAN started developing in 2005 when Moscow joined the bloc's East Asia Summit, which includes the US, Australia, New Zealand and other nations at the invitation of Malaysia and with support from India and China. 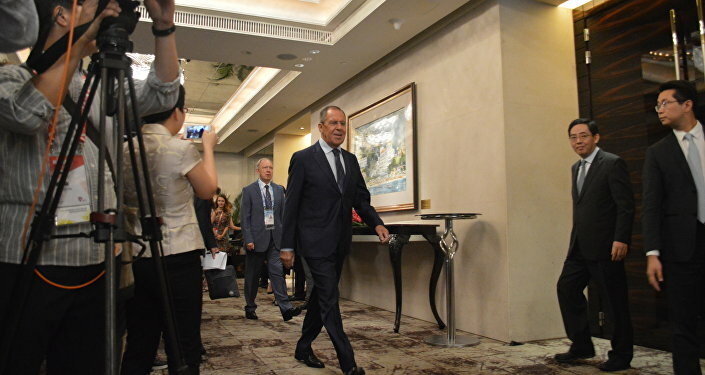 In 2016 Southern Russian city of Sochi hosted a two-day Russia-ASEAN summit, and last year Sergey Lavrov took part in the opening ceremony of the permanent mission of Russian Federation to ASEAN in Jakarta. The Association of Southeast Asian Nations is currently comprised of 10 member states — Singapore, Brunei, Malaysia, Thailand, Indonesia, Vietnam, Philippines, Laos, Cambodia and Myanmar.